Grove Park, Greater London Bed and Breakfasts. Compare latest rates and Live availability for all your favourite places and places you have always wanted to go using our new My Shortlist feature. Click + to add to your Shortlist. 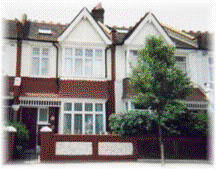 Bed and Breakfasts in Grove Park, Greater London for 1 night from Fri Apr 19, 2019 to Sat Apr 20, 2019 within 10 miles, in an Average Nightly price range of £1 to £200. The Kew Gardens Hotel has 20 boutique en-suit bedrooms ground floor gastro pub and restaurant and private dining/ function mezzanine. We are situated in the heart of Kew Village West London away from the hustle & bustle of the city life but with a superb location for travel in and out of the city. At only 10 minutes walk from the Historic Royal Botanic Gardens and The National Archives and a quick tube ride to Richmond upon Thames with all of its shopping restaurants and riverside walks. Our traditional pub features are married with modern touches offering a fantastic unrivalled destination for your social or corporate events. The Kew Gardens Hotel rooms are design-led without compromising convenience and comfort they are just as beautiful as they are practical.There are 20 en suite rooms that have all the comforts of home in a fantastic boutique design. We have four different room types to suit everyone. All our rooms are non-smoking and offer complimentary breakfast. Come and join us at the renovated Kew Gardens Hotel and stay in one of our stunning boutique bedrooms. Kew B&B is within minutes walk to the world-famous Kew Botanical Gardens and just 7 minutes walk to Kew Gardens station and village where you will find many restaurants and cafes. We provide simple bright and comfortable B&B accomodation in a Victorian house as well as 4 self contained modern studios. Our garden and terrace is a traquil area to take a break from busy London city. Set in London in the Greater London region, Kew Rooms provides accommodation with free WiFi. A continental breakfast is available every morning at the property. Hammersmith Apollo is 7 km from the bed and breakfast. The nearest airport is London Heathrow Airport, 17 km from the property. The Victoria is located in Richmond and is within 15 minutes' walk of the beautiful Richmond Park and North Sheen Station. This elegant hotel has a restaurant, a traditional pub and a garden. Each stylish room at The Victoria has free Wi-Fi, a flat-screen TV and an iPod docking station. The award-winning restaurant offers creative British cuisine and serves brunch on Saturdays. The banks of the River Thames are a 20-minute stroll away. The centre of Richmond and the famous Kew Gardens are within 1.5 miles of the hotel. You can reach central London in approximately 30 minutes by Tube and train. London Star Hotel established a new brand in the heart of London in Central Acton with very high corporate staff and luxury Rooms with high standard accommodation. All our bedrooms have double beds apart from twin rooms full ensuite private facilities television and complimentary Continental Breakfast. We do provide towels bed sheets toiletries etc. The comfortable fully equipped bed rooms provide an ideal place to relax and are suitable for both a short and longer stays. There are 3 floors in the hotel with big comfortable lift. It is worth noting that due to the traditional nature of the building there is lift and access to all the floors and rooms of the hotel. Our reception staff is at your service 24 hours a day and will be glad to assist you with booking transport or anything else that will make your stay that extra bit special. Various attractions and amenities like parks restaurants touristic attractions shopping are within a short walking distance from the Hotel.